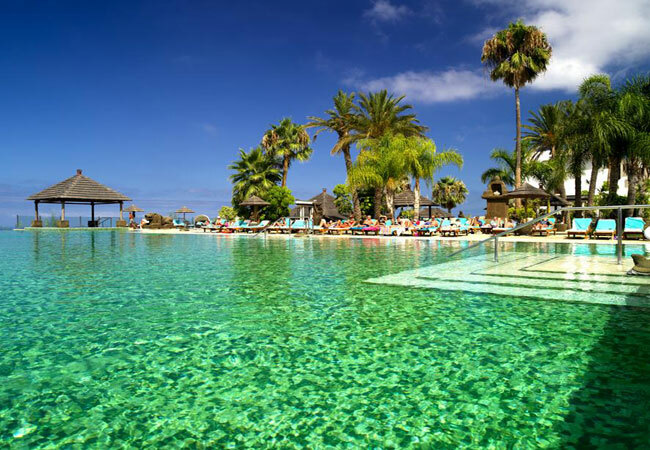 The Regency Country Club is an excellent resort located in the exclusive area of Chayofa, just 5 minutes from Los Cristianos on Tenerife’s southern edge. Styled in a theme based on the exotic island of Bali, the natural stone and hand-carved statues found around the resort are complemented by fabulous old furniture and marble floors throughout the public areas, which offer panoramic views over the pool and gardens. The large outdoor Infinity pool features a swim-up pool bar along with a Jacuzzi and a separate children’s pool. There are secluded sunbathing areas whilst further leisure facilities include mini-golf and, for younger guests, a superb children’s play area. A daily massage service is also available. For dining, the Club arranges Asian-themed nights in keeping with the Eastern feel of its overall design, whilst the award-winning La Estancia restaurant, just a few steps away, serves French – Mediterranean-style cuisine. There is also a relaxing bar. Reception is open 24 hours and has a unique area designated to the comfort of arriving and departing guests with a changeover room with personal luggage lockers. There is also a library with cards table, internet booths and laundry facilities and reception can arrange grocery deliveries from the two nearby supermarkets. The Country Club provides a courtesy bus service to and from Los Cristianos beach, the main supermarkets, the main shopping area in Las Americas and Playa del Duque. Please see the bus schedule in reception. The luxurious suites have open-plan kitchen and living/dining rooms with Satellite TV and DVD. 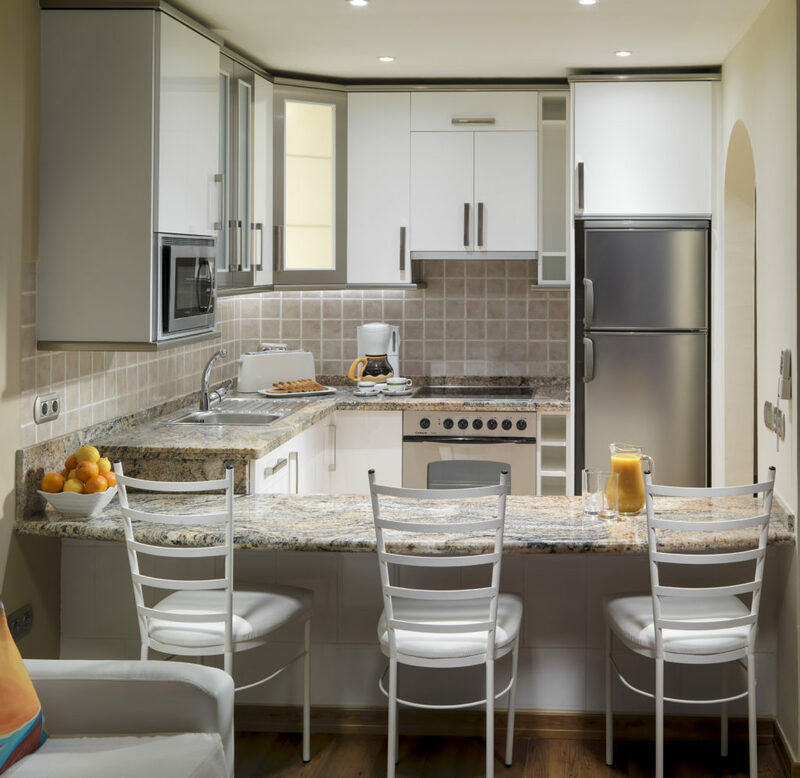 The modern kitchens are well-equipped with fridge-freezer, microwave, coffee-maker, toaster and juicer. 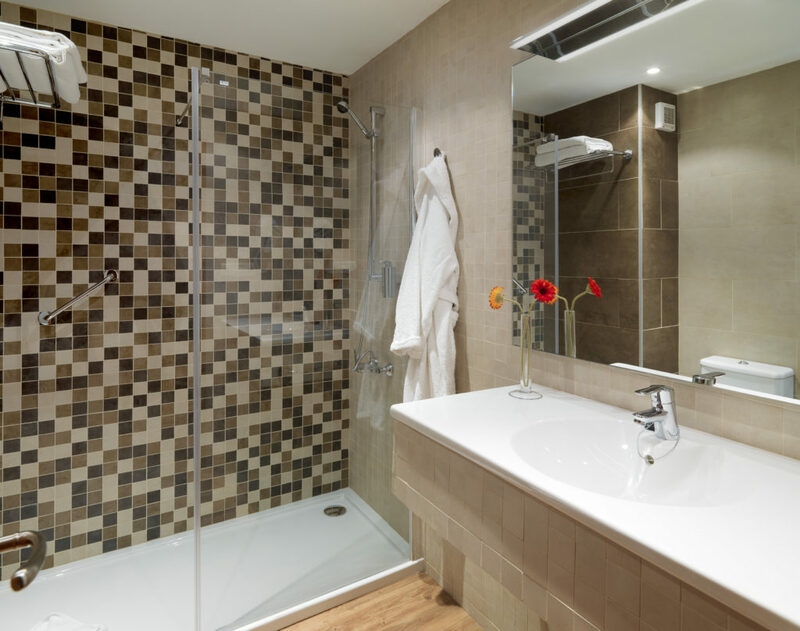 For maximum comfort, all suites benefit from an equal number of bedrooms to bathrooms, all of the latter with both bath and shower. Master double bedroom with four-poster bed and en-suite bathroom, also accessible from the lounge area. Master double bedroom with four-poster bed and en-suite bathroom. Twin bedroom with separate bathroom. Master double bedroom with four-poster bed and en-suite bathroom. Twin bedroom with en-suite bathroom. Further twin bedroom with separate bathroom. 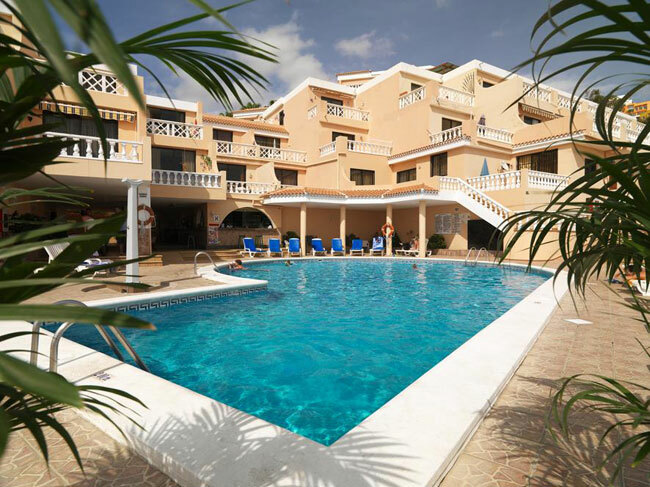 Situated just 5 minutes from the exciting Playa de las Americas and all its shops, beaches and entertainment. The Regency Club has super views of the Atlantic Ocean and is only 20 kilometres from Reina SofiaAirport. There are two supermarkets, several excellent restaurants and a few bars. Within 5 to 10 minutes walk, you will find the Aqualand with water slides and dolphin shows and Siam Park, the water kingdom theme park. 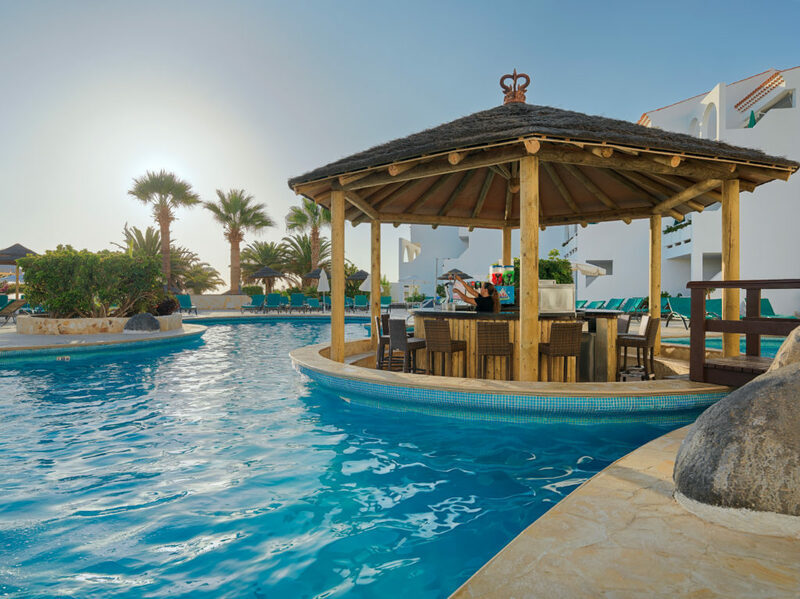 The Regency Club invites all the guests for live entertainment nightly, including, Magic Shows, Flamenco, Canarian Music, Karaoke, Barbecue and much more…. You should rent a car to fully enjoy Tenerife. On the excellent motorway system you are only a short drive from Championship Golf and Horseback riding. You can also visit some beautiful Churches, Museums, Canarian architecture, parks, Flora and Fauna Exhibits. Tennis, Beaches, Duty Free Shops, Restaurants, Pubs, Casino, Boating, Fishing, Evening entertainment and beautiful gardens. The Regency Club has 90 apartments with special designer furnishings. 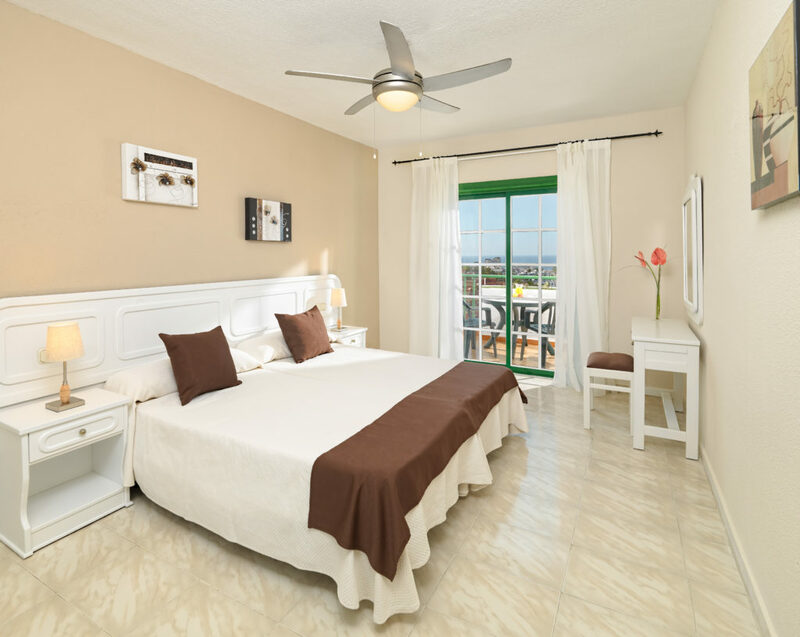 The apartments are spacious studios, 1 bedroom, 2 bedroom units sleeping from 2 to 6 persons. Most of the apartments have sea views, terraces, televisions, fully equipped kitchens, safe deposit boxes and telephones. The swimming pool and pool terrace are perfect for sunbathing. The on-site pool bar and restaurant serve excellent meals with daily specials. The maid and maintenance service ensures you an excellent care-free holiday. 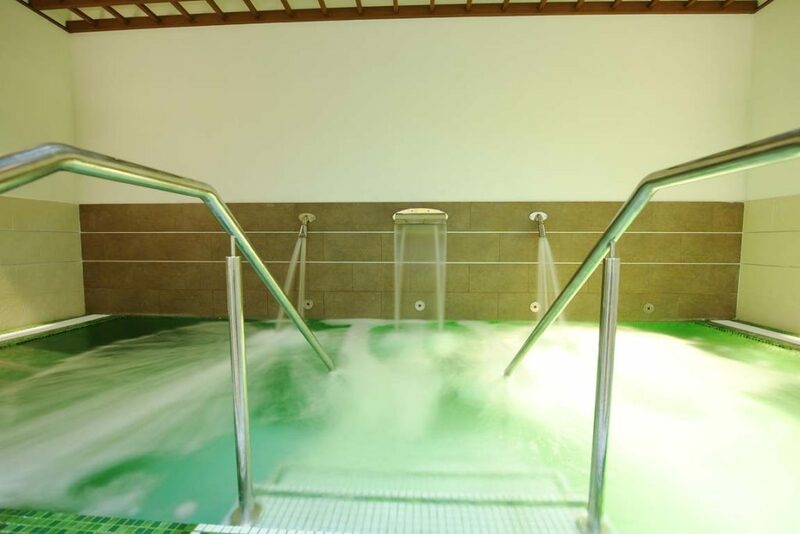 For the active holiday maker there is full entertainment program, Spa, sauna, steam room, jacuzzi, childrens club, gymnasium, table tennis and pool tables. Excursions, car hire, money exchange, post cards and more are available in the 24 hour reception. The guests services staff are there to help you in any way they can. A free bus service and on-site laundry. Paradise Court is conveniently situated over looking the beautiful Atlantic Ocean. Only 20 kilometres from Reina Sofia Airport and 5 minutes drive from the exciting Playa de las Americas with all the shops, beaches and entertainment. You should rent a car to fully enjoy Tenerife. On the excellent motorway system you are only a short drive from Clay Pigeon Shooting, Championship Golf and Horseback riding. You can also visit some beautiful Churches, Museums, Canarian architecture, parks, Flora and Fauna Exhibits. The apartments are spacious 1 bedroom units sleeping from 2 to 4 persons. 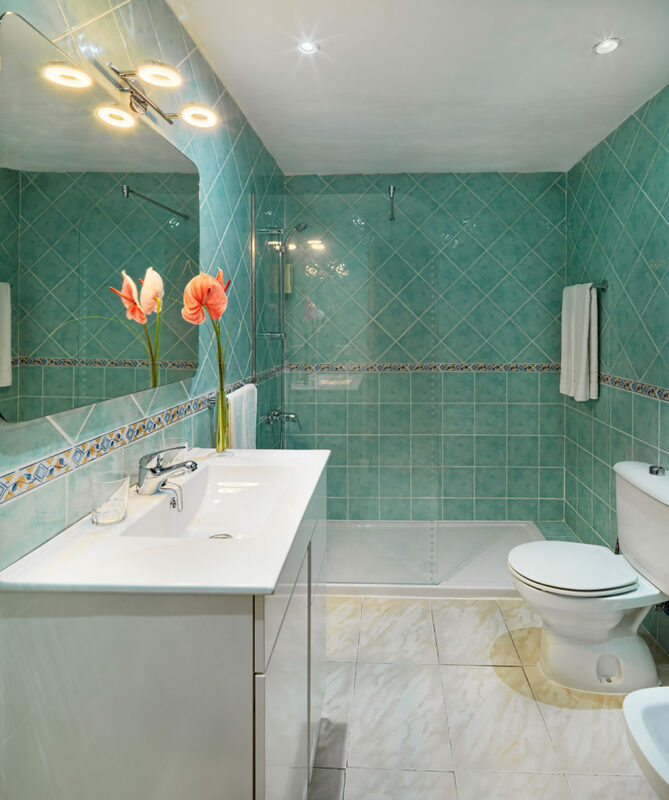 Some of the apartments have sea views, all have terraces, ceiling fans, satellite televisions, fully equipped kitchens, microwaves, safe deposit boxes, telephones and hair dryers. The swimming pool and pool terrace are perfect for sunbathing. There is an on-site pool bar where you can enjoy a variety of snacks. The maid and maintenance service insures you a care-free holiday. Excursions, car hire, money exchange, postcards and more are available in the reception. The guest services staff are there to help you in any way they can. A free bus service and on-site laundry. Regency Beach Club is situated on the beach overlooking the Atlantic Ocean. Only 20 kilometres from Reina Sofia Airport and 5 minutes from the exciting Playa de las Americas with all the shops, beaches and entertainment. Ten Pin Bowling, excellent entertainment and fishing, boating and casino, various bars and restaurants, Duty Free Shops. The sister resort Regency Clubinvites all the guests for live entertainment nightly, including, Magic Shows, Flamenco, Canarian Music, Karaoke, Barbecue and much more. Tennis Clubs, the best place for night entertainment for all ages (bars, video pubs, discotheques and excellent restaurants), beautiful gardens and lot more. You should rent a car to fully enjoy Tenerife. On the excellent motorway system you are only a short drive from Clay Pigeon Shooting, Water Park, Championship Golf and Horseback riding. You can also visit some beautiful Churches, Museums, Canarian Architecture, Parks, Flora and Fauna Exhibits. The Regency Beach Club has apartments with special designer furnishings. The apartments are spacious 1 bedroom units. 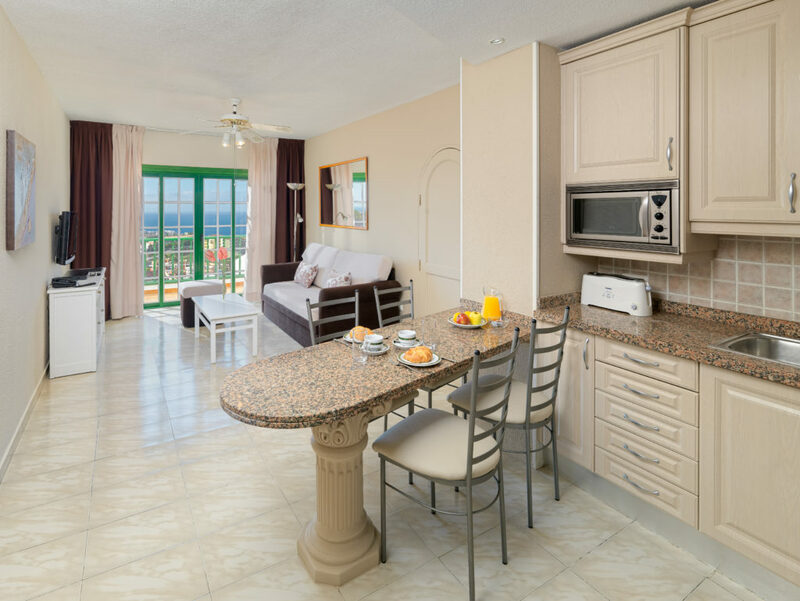 The majority of the apartments have sea views, terraces, televisions, fully equipped kitchens, safe deposit boxes and telephones. The swimming pool and pool terrace are perfect for sunbathing. The on-site pool bar and restaurant serve excellent meals with daily specials. The maid and maintenance service ensures you an excellent carefree holiday. For the active holiday maker there is badminton, table tennis and pool table. Excursions, car hire, money exchange, post cards and more are available in the 24 hour reception in Regency Club. The guests services staff are there to help you in any way they can. 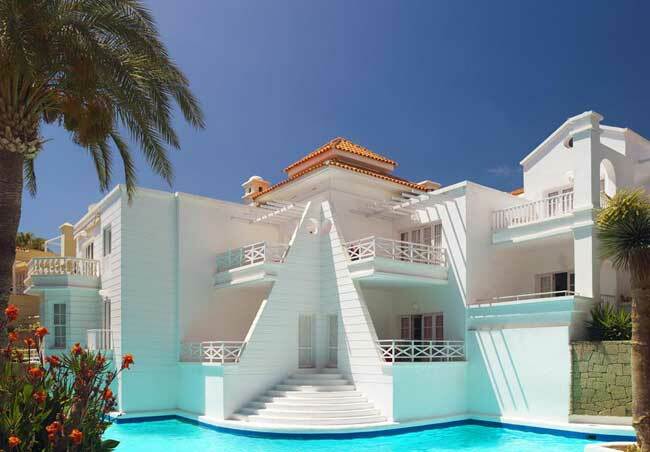 Regency Heights is situated on a hill over looking the Atlantic Ocean. 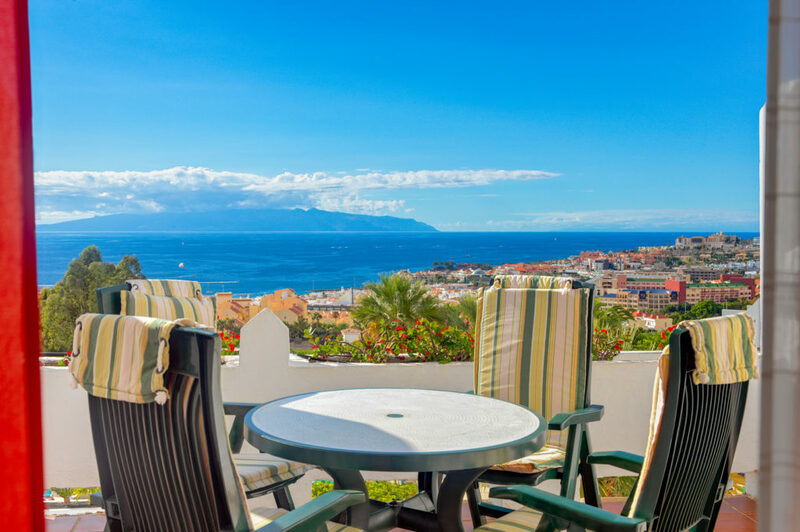 Only 20 kilometres from Reina Sofia Airport and 5 minutes from the exciting Playa de las Americas with all the shops, beaches and entertainment. Within 50 metres there are two supermarkets, several excellent restaurants and a taxi stand. Within a 5 – 10 minutes walk away you will find the Octopus Water Park with water slides, etc. and dolphin show. The sister resort Regency Club invites all the guests for live entertainment nightly, including, Magic Shows, Flamenco, Canarian Music, Karaoke, Barbecue and much more. The Regency Heights has 100 apartments with designer furnishings. 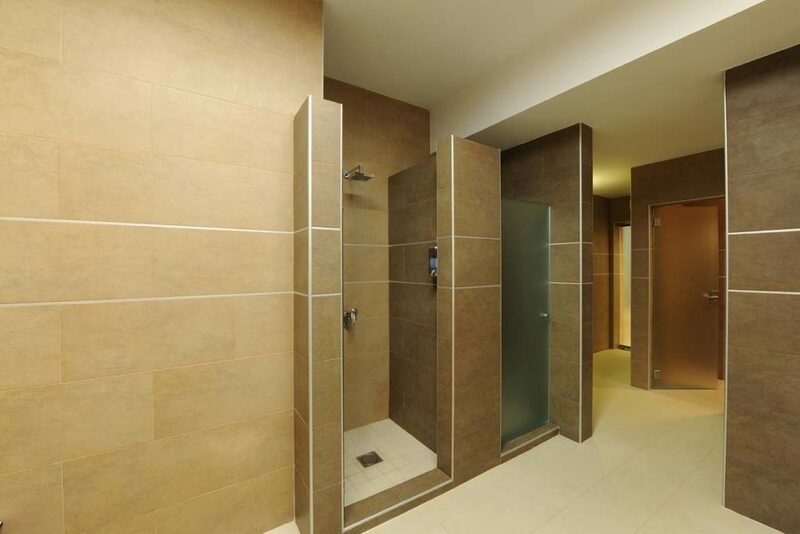 The apartments are spacious 1 bedroom and 2 bedrooms units sleeping from 4 to 8 persons. 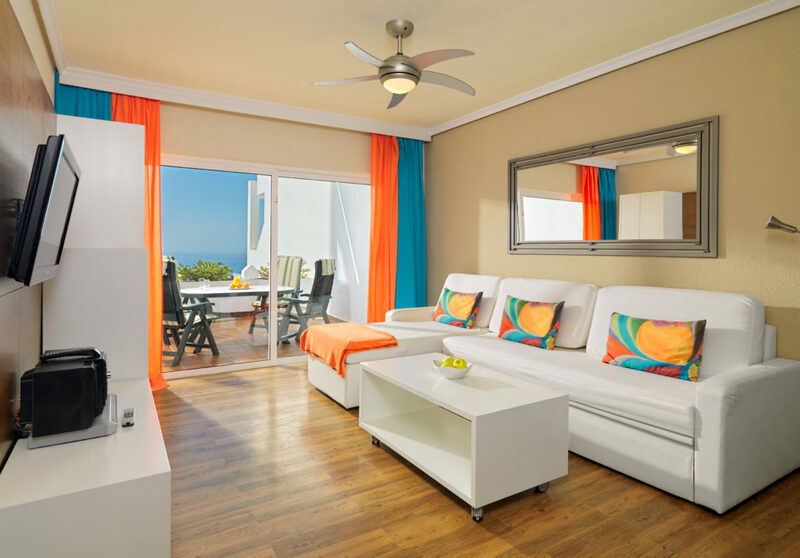 The majority of the apartments have sea views, terraces, ceiling fans, barbecues, television and VCR, fully equipped kitchens, microwaves, safe deposit boxes. telephone and hair dryers. The swimming pool and pool terrace are perfect for sunbathing. The on-site pool bar and the restaurant serve excellent meals with daily specials. The maid and maintenance service ensures for you an excellent care-free holiday. For the active holiday maker there is badminton, table tennis and pool tables. Excursions, car hire, money exchange, post cards and more are available in the 24 hour reception. For check-in and check-out there is luggage storage available. The guests services staff are there to help you in any way they can. A free bus service and on-site laundry.